Celebrate ☆ai love music☆’s 100th post with Queensberry! 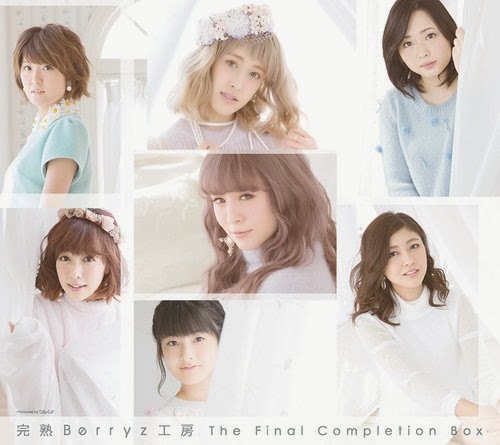 It’s the 100th post at ☆ai love music☆! I never thought that I would reach this milestone as I didn’t think I would be continuing to blog after my long hiatus in 2009. It’s all thanks to the readers and my evolving music library both on my computer and in my CD shelves that keeps me going even during difficult times. I hope that I can reach my 200th very soon. To mark this occasion, I want to use a song that involves the word “celebrate” as this a joyous occasion. I was looking through my iTunes and found a little gem from the German girl pop group Queensberry. The band was formed in 2008 during season 8 of the German version of the hit TV talent show Popstars. The original members were Leonore Bartsch, Gabriella De Almeida Rinne, Antonella Trapani, and Victoria Ulbrich. Hoping to be as successful as Popstars alumni bands No Angel and Monrose, Queensberry released their debut album, entitled Volume I, in early 2009 with great success. It was certified gold.The group was quick to release singles from the album as well as work on what was supposed to be their US debut album. However, that plan never came about as their contract with Warner Music dissolved at the end of 2009. What made matters worse was that Antonella and Victoria decided to call it quits by July 2010. Queensberry’s managers were quick to find their replacements, who were Selina Herrero and Ronja Hilbig. Queensberry didn’t release any material, just appeared on a song by rapper KittyKat and did live performances. However, Selina Herrero left the group two years later as she wanted to go back to school. The group released their last album as a trio in 2012 with little success. Leonore Bartsch decided to leave the group soon after, leaving Queensberry with only Ronja and Gabriella. 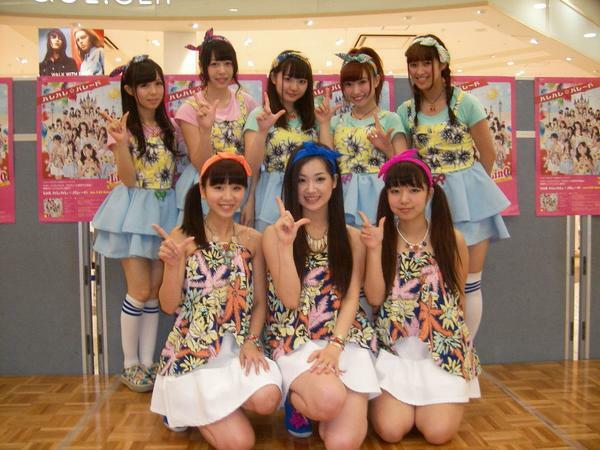 The group eventually disbanded completely in 2013. It is currently unknown what the girls are doing now. It is presumed they are either out of show business or focus on their solo careers. “Celebrate” might feel like a generic synthpop song. It features a high-pitched synthesizer, a clapping machine, and an air drum kit. I think the keys to the song are the vocals and the feel-good meaning behind the lyrics. You can say that the girls vocals are the standard pop vocals you hear from any pop tune. However, I feel like these vocals fit the song perfectly. It isn’t too deep nor high and the vocals are really smooth with a clear tone. They actually make you feel good and relax. One other thing that makes the listener feel good is the lyrics. Who doesn’t want a friendly reminder like “Celebrate, we made it through the day Celebrate, good times are here to stay Celebrate, dreams come to life today” throughout their day, The song is filled with upbeat lyrics that tell you that you shouldn’t give up because you can celebrate your victories at the end of the day. I have reached my 50th post with the last post, “Music Reactions: Celebrating the 4th of July by Listening to Oldies“.. By July 5th, 2015, ☆ai love music☆ has had 1,277 views and 721 visitors. 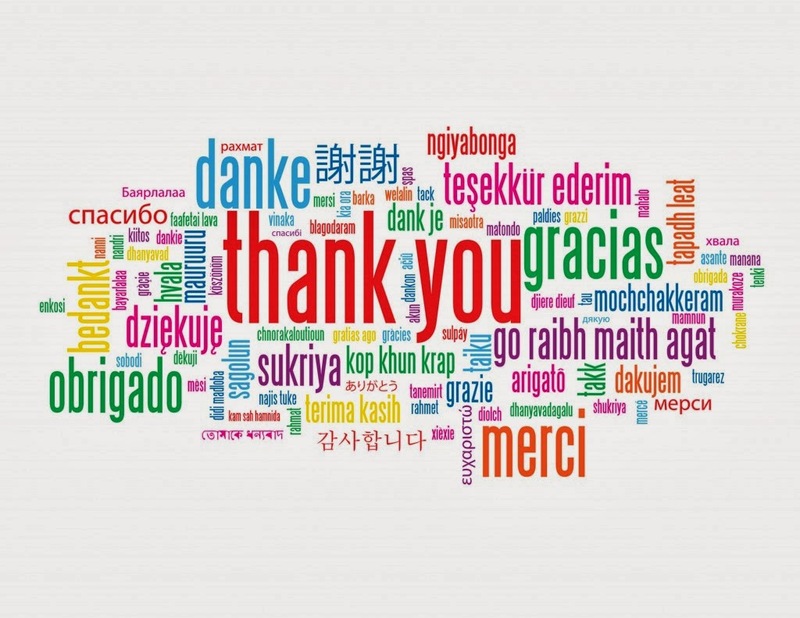 I want to say a special and big thank you to each and every one of you guys who have visited this blog. Without you, I would have stopped writing by the second post. Thanks again! A special thank you for those who commented on an entry! Those comments helped me a lot. Please, if you have a chance to do so, please comment on any entries as I want to know what you guys like and to see if I am any good at writing. I usually don’t do Music Rewind on WordPress because I usually revisit older blog entries mainly on other social media sites (Facebook, Twitter, and Instagram). However, since this a special post, I want to write one here too. 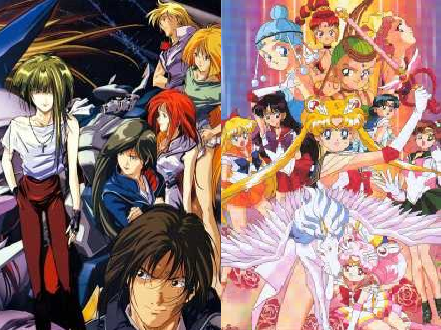 Today’s Music Rewind is a look back at the five most popular posts on ☆ai love music☆. This idea was inspired by the Japanese music chart Oricon. These charts do a mid-year review of the top 100 singles and albums in Japan. It’s Sunday once again and it’s almost the end to another beautiful weekend. In about seventeen hours or so (depending on your time zone), many of us will have go back to normal lives; school, work, commute, and so on. We never want our weekend to end. We secretly wish that we could put Sunday/weekend on endless “repeat”. However, the shimmery hope towards the next weekend soon dawns when we go to work on a gloomy Monday. Hopefully, the song that is featured in today’s post can help give you a positive push for that weekend. Not much is know about Mocki. Is it an artist? Is it a band? What genre? Google doesn’t really have answers. Although, I was able find some information on the sites Earmilk and This Must Be Pop. It was these two sites that introduced me to Mocki’s “Weekend” by featuring it in their daily posts. Thank you! Mocki is a German three-piece indies band consisting of singer Domino and the producing duo Sister. Their music experiments with mostly dance, punk, and electronica, according to Earmilk. The band released their first album, entitled “Kitsune”, earlier this year. From the album, “Weekend” became the band’s debut single, becoming a semi-popular selection as the music video has over 56,000 views. It got a further push in the limelight when Jai Wolf released a remix of the song a month after. “Weekend” is a fantastic electronic song when the first beat drops. The synthesized bass beat thumps at the very start, subconsciously making you want to dance instantly. The instrumentation is pretty basic for a club song; just the vocals, a strings kit, and a few synthesizers. Nothing too special. Instead, the vocals fill the void with Domino’s smooth, strong vocals that are manipulated cleverly here and there with the help of a vocoder. Because of this machine, my favorite part of the song is at the chorus’ final, where the instrument takes a brief pause while Domino’s synthesized vocals sing “Yeah Yeah”. Although Mocki doesn’t have a lot of releases, you should listen to “Weekend” as it is a great song to move to. If you are a fan of Daft Punk’s, Yasutaka Nakata’s, or Towa Tei’s electrical melodies, strong vocals of Debbie Harry, Michiyo Heike, or Donna Summers, or if you like a little punk mixed in your dance music, you should check the video below. Murray, Peter. “Mocki Gets Wet and Wild in New Video for “Weekend” [Video Premiere].” – EARMILK. 2015. Web. 10 May 2015. .
 Jessica. 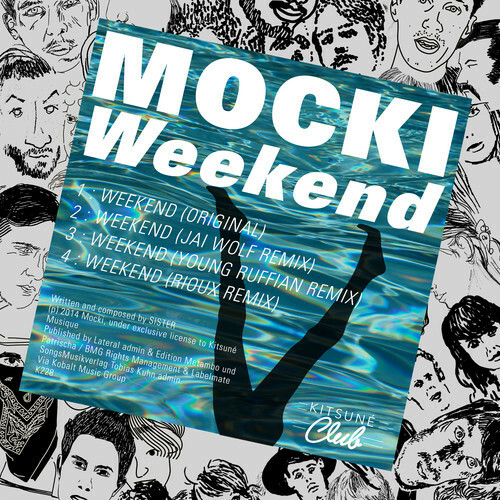 “Song of the Week: Mocki – Weekend.” This Must Be Pop. 27 Apr. 2015. Web. 10 May 2015. .
Long time, no see! I am sorry for not updating for a week or so. I usually curl up next to the space heater after work on very cold winter nights, unexpectedly falling asleep for long periods of time. Lame, isn’t it? This week’s weather is forecasted to be spring-like here in Japan. Maybe I will be lucky and I wouldn’t have to use a heater. Four Colourz is one of those girl groups.. 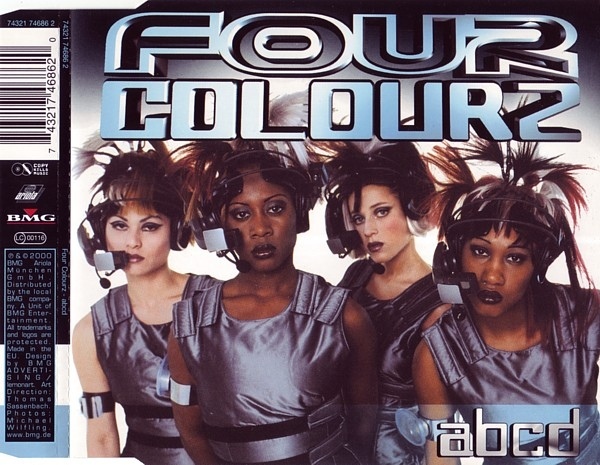 Formed in late 1999, Four Colourz was a quartet with members Kara, Claire, Tierra and Nraca/R-Ca, They started to record their first album, “FourColourz.com”, in the early part of 2000. To promote this album, they were the opening act for the European leg of P. Diddy’s tour while releasing four singles: “Wait”, “Anything”, “ABCD”, and “Dog Me Out”. The girls found minor success in Europe, especially in their home country of Germany. But it wasn’t enough as the girls disappeared off the music radar a year after their debut. It is currently unknown what the girls are up to now; are they still in the entertainment industry or did they retire to a “normal” life? Luckily, their music is still roaming around the internet for all to enjoy this talented group. You can hear their beautiful yet sassy voices the best in their second single “ABCD”. Although it’s a typical “pop meets R&B from those days”-type of song, it really does fit the girls’ voice wonderfully. The magic of this song comes from the solo lines, where each girl gets to show off their unique vocals, and in the chorus parts with the girls blending together to create a unified sound. I honestly can’t choose from Claire’s sultry vocals or Tierra’s sweet ones. But, what makes it more memorable is the beat and the melody; creating a high-energy, get up and bounce jam. If you liked Destiny’s Child, 3LW/Cheetah Girls, or Mis-Teeq, then Four Colourz is for you! With a pinch of sugar, spice, sass, and everything kinda nice, “ABCD” is an unforgettable jam that might have you arbitrary humming parts of the chorus anywhere.